From Phoenix airport take Interstate 17 North towards Flagstaff. Get off at the HWY 260 exit. Head towards Cottonwood until you reach the Arizona HWY 89A and HWY260 junction. We are about 3 1/2 miles to the southwest. It's a straight shot, no turns from that intersection. ***If you are reading a map, most Arizona maps are incorrect. They call historic 89a, HWY260. In all actuality HWY 260 ENDS at 89a. 89a to the south will bring you into Old Town (the historic Main Street area). North will take you to Sedona. ***DON'T turn at the BY-PASS 89a, GO STRAIGHT through the light. The by-pass will BY-PASS historic Old Town Cottonwood! It will take you to Jerome. The best way to find the Cottonwood Hotel is to come to the historic Cottonwood 'Old Town' area. 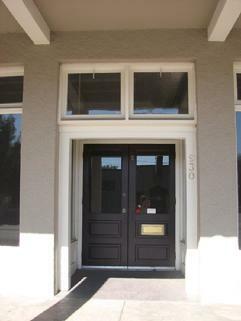 It's located on historic 89A (same as North Main Street). Mingus Ave. divides North and South Main. We are located at 930 North Main Street. If you're looking for big signs or your typical hotel/motel you will miss us. We have just a small sign in our window and the Cottonwood Hotel name on our awnings. You can't miss our balcony that overlooks the downtown area. We are also in the same block as the Tavern Grille. They are on one corner and we are on the other, same side of the street, same block. Or look for Nic's Italian Steak & Crab House or Kactus Kates Saloon. We are right across the street in this small 3 block section of restaurants, shops & galleries. Our lodging accommodations are the 2-story old western Toltec Indian architecture building with the large balcony that overlooks the downtown area. We are on the corner of Pinal & North Main Street. 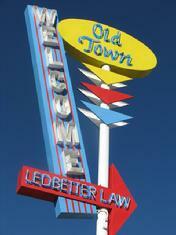 If you've passed the large 1950's sign that says 'WELCOME, TO OLD TOWN', you've just passed us! Please come during your scheduled arrival time. Have a safe drive over. Please come to our front office door for your scheduled arrival time. Park in your reserved parking space in the rear parking lot or anywhere on the side or Main Street. We are looking forward to meeting you for the first time or seeing you again if you are a returning guest. Thank you for your patronage and continued support. Management of the Cottonwood Hotel. Below is a great Discovery Map of the Sedona, Verde Valley area, includes Old Town Cottonwood and Jerome.